At Huff ‘N Puff, we won’t perform any job unless it stands to directly benefit you as the homeowner. We offer our professional opinion and include you in every decision we make regarding your most valuable investment. 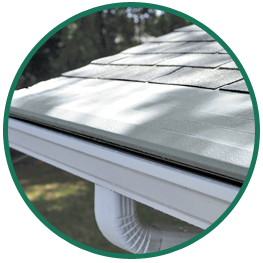 We work with gutters, doors and windows, all three aspects of your home that are important for better energy efficiency. As one of the oldest window companies in Middletown and the surrounding area, you can trust our 40 years of experience when it comes to improving your home. We ensure that our technicians are all trained and certified, and all of our products are installed by a professional. This not only limits problems you will face, but also ensures that warranties are in place to protect you if anything goes wrong. The customer is our first priority, no matter how big or small the job. Whether it’s giving your home a facelift or improving your energy efficiency, we are here to help. You can count on us to always find solutions that are best for your home that fit in your budget. We are always on time and get the job done when we say we will. When you choose Huff ‘N Puff for your home in Orange County or any of the neighboring areas, you can rest assured that your home will be taken care of. Call us today at (855) 483-3678 or contact us online to get a quote regarding changes you want to make to your home. We are happy to take your call and earn another loyal customer through quality workmanship, great products and friendly customer service.